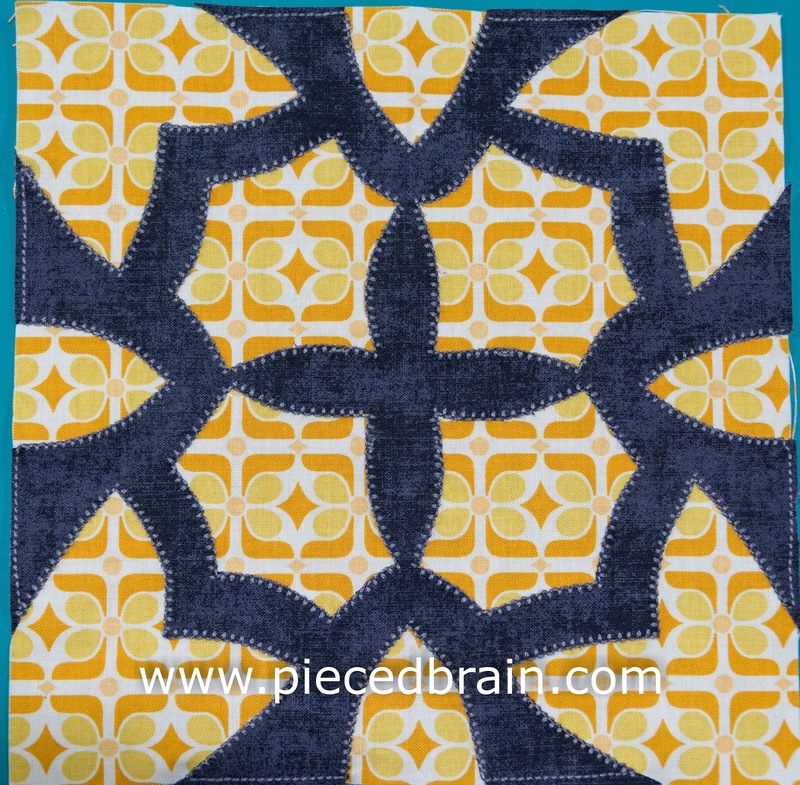 This is Block # 3 for our City Girl Sew Along (for previous blocks, click here) and it is called "Financial District". 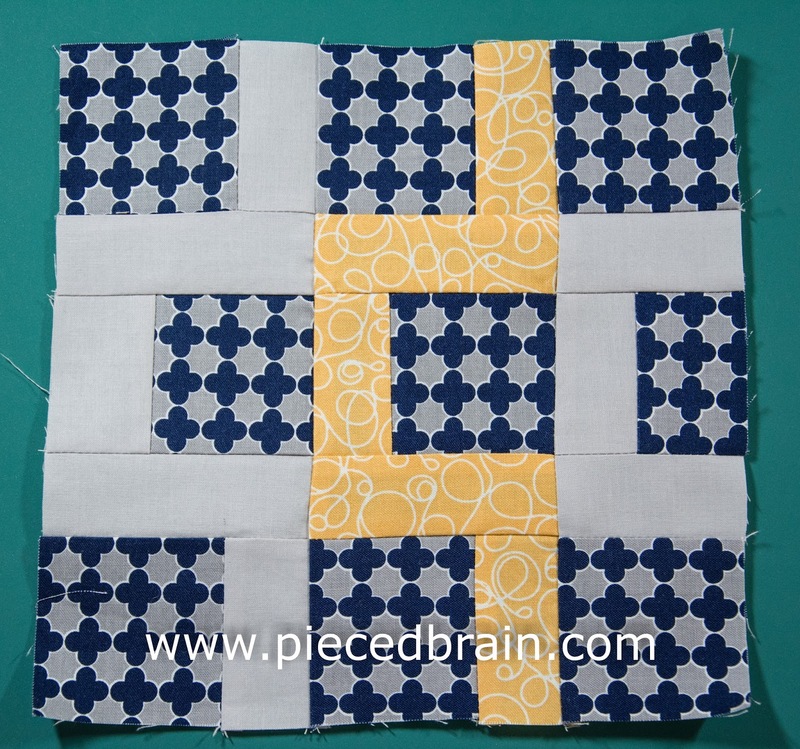 This block can be put together in a few minutes and four simple steps. 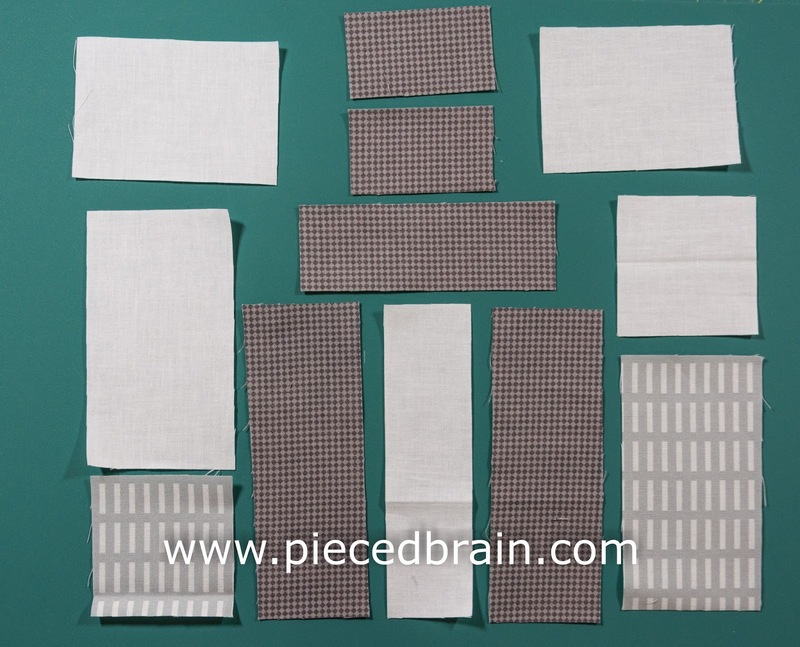 Arrange fabric pieces close to your sewing machine according to picture above. First: with RST, stitch the two rectangles which form the top of the main building. Press. Stitch a 3-1/2" x 2-1/2" white rectangle to each side of the top of the building. Press. 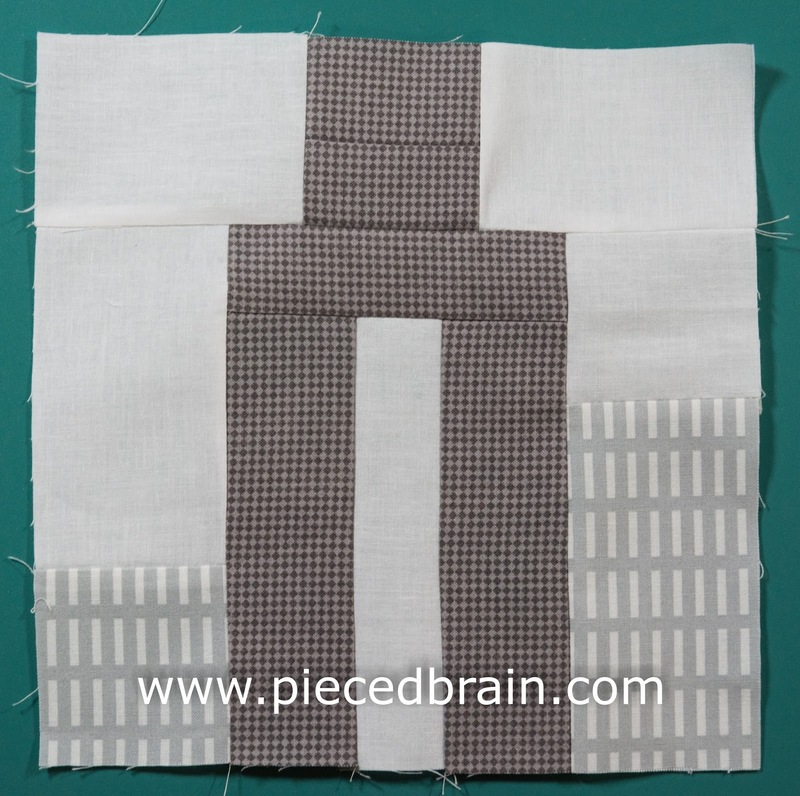 Second: with RST, stitch the small light gray square to the 2-1/2" x 4-1/2" white rectangle. Press. Do the same with the remaining light gray rectangle and white square. Press. Third: with RST, stitch the narrow white strip to one of the medium gray strips, then add the other medium gray strip to the other side of the same white strip. Press. Stitch the 1-1/2" x 4-1/2" remaining gray strip to one of the short ends of this rectangle. Press. Fourth: Stitch light gray buildings to each side of the main building as shown above. 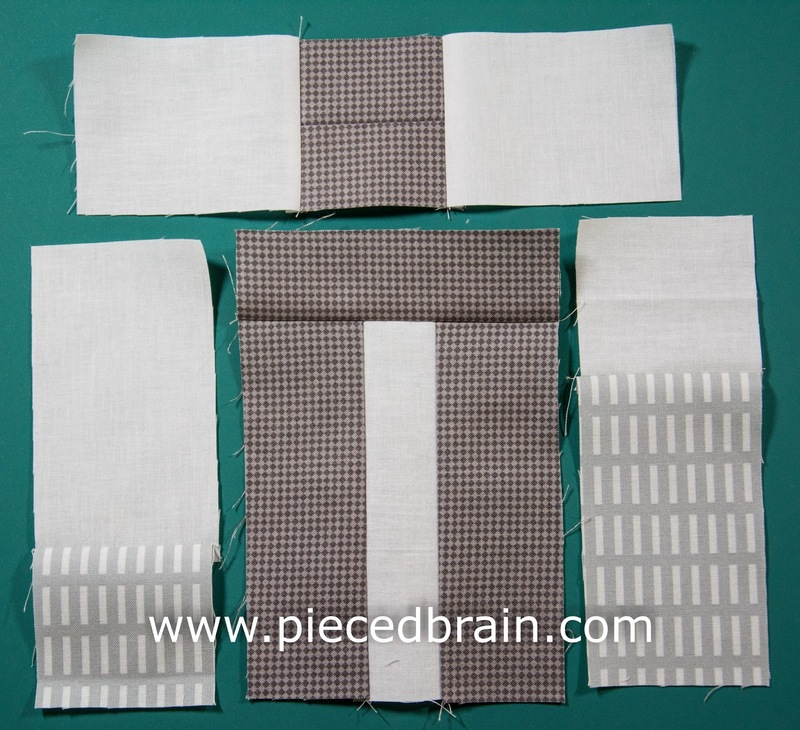 Press seams, then stitch top part of the block onto buildings. Press seams one more time, and you are done! These are the blocks we have made so far, representing things, places, or scenes we can find in a city: the subway, the cathedral window, and the financial district. Stay tuned for block #4 coming up next week!